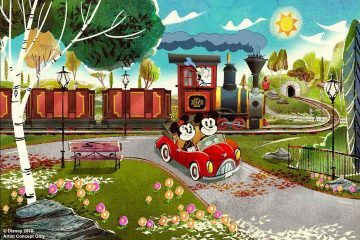 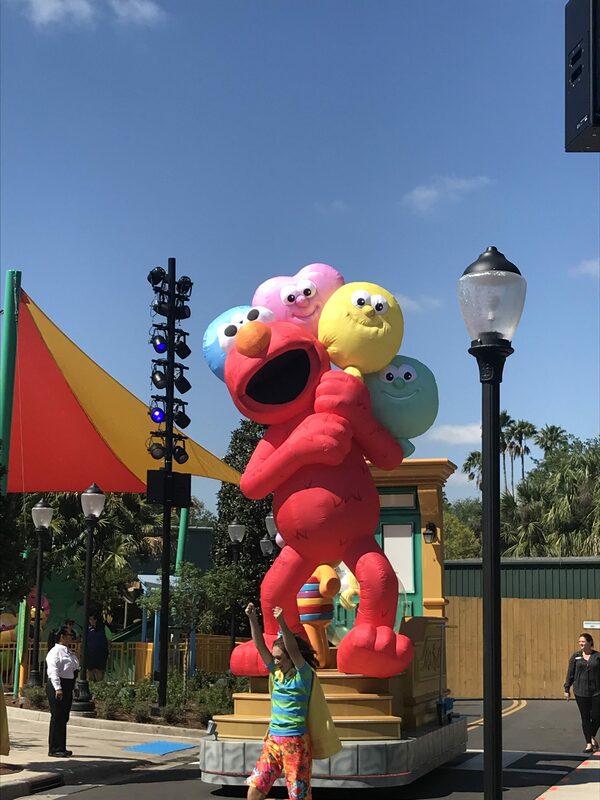 The park’s new six-acre land welcomes all guests on March 27, following annual passholder previews over the weekend and a media preview on Tuesday. 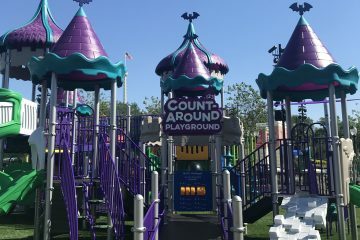 Along with a recreation of familiar locales from Sesame Street like the 123 stoop and Hooper’s Store, the area features plenty of character interactions, play areas, food trucks and six attractions rethemed from the old Shamu’s Happy Harbor section of the park, plus SeaWorld’s first daily parade. 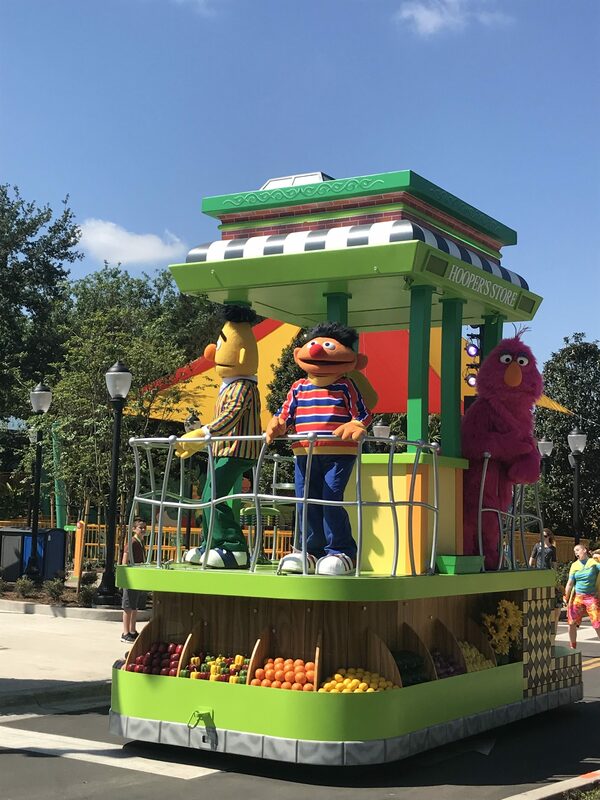 The headlining attraction in the land is Super Grover’s Box Car Derby. 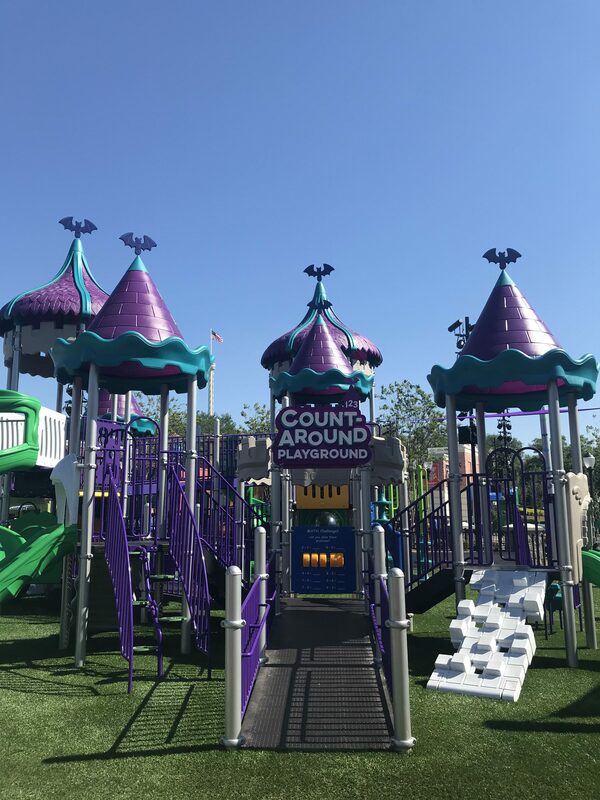 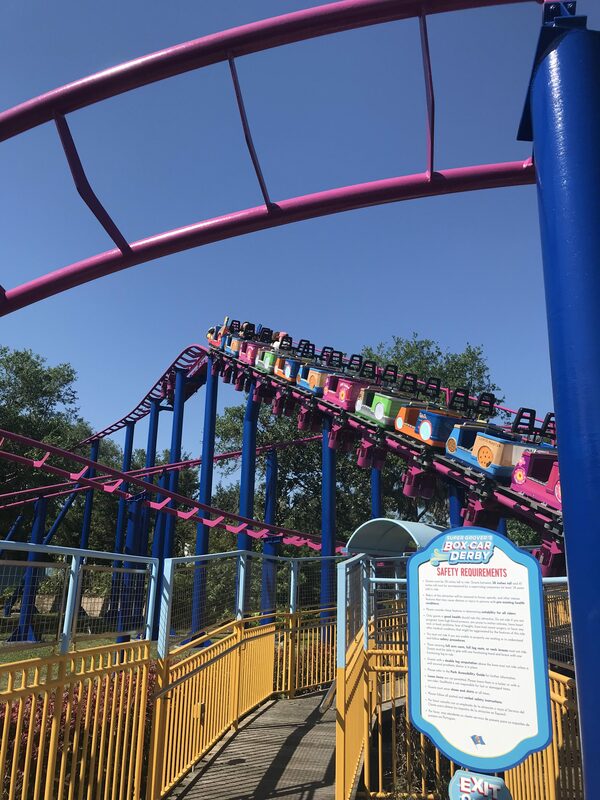 A family-friendly ride meant to be young kids’ first coaster experience, the former Shamu Express has been made over with a new design from original manufacturer Zierer. 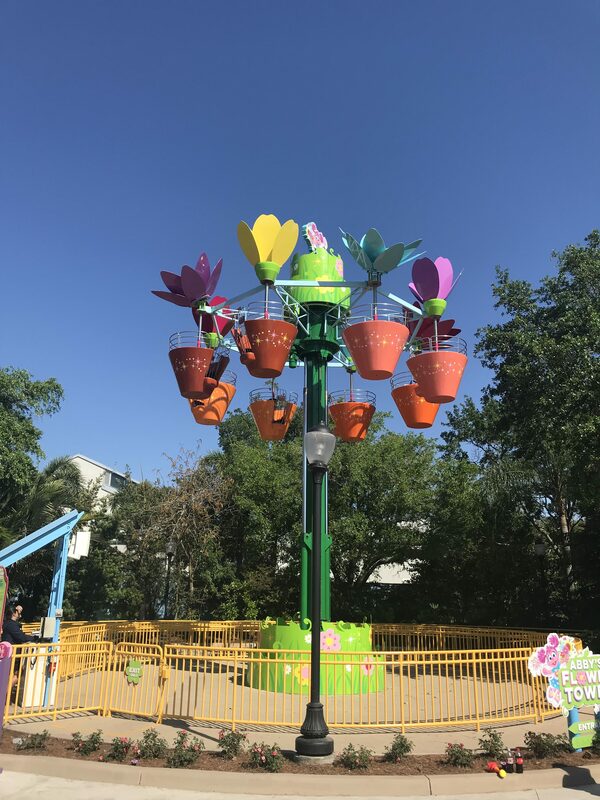 Abby’s Flower Tower is a tower spinner ride lifting riders up to 30 feet in the air. 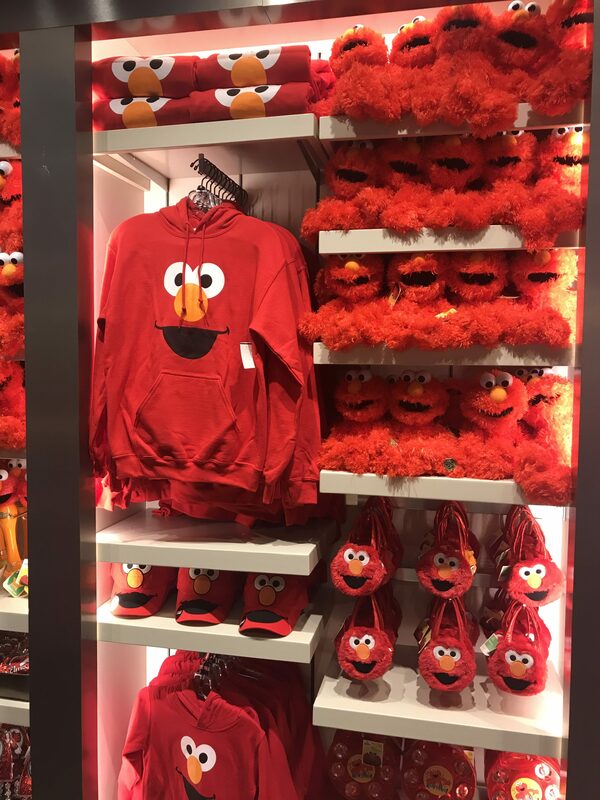 It was formerly known as Jazzy Jellies. 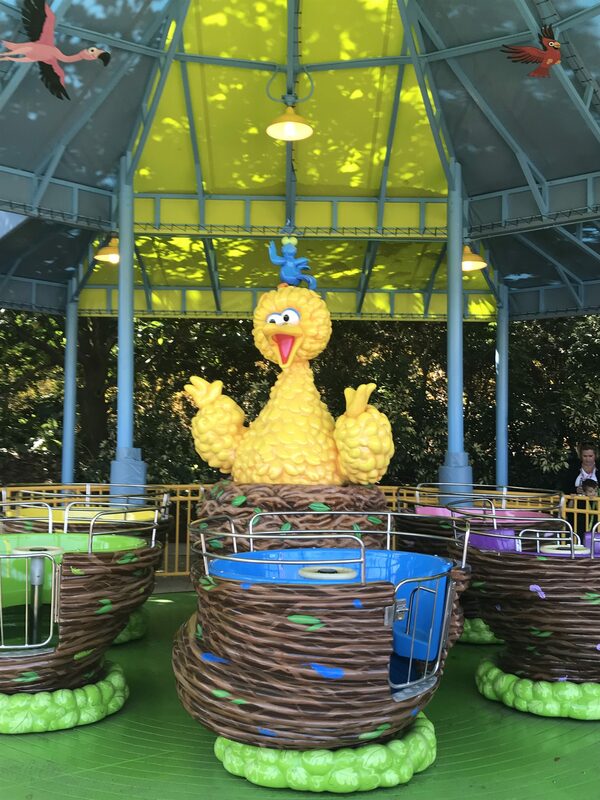 Big Bird’s Twirl ‘n’ Whirl is another take on Disney’s classic Mad Tea Party teacup spinner. 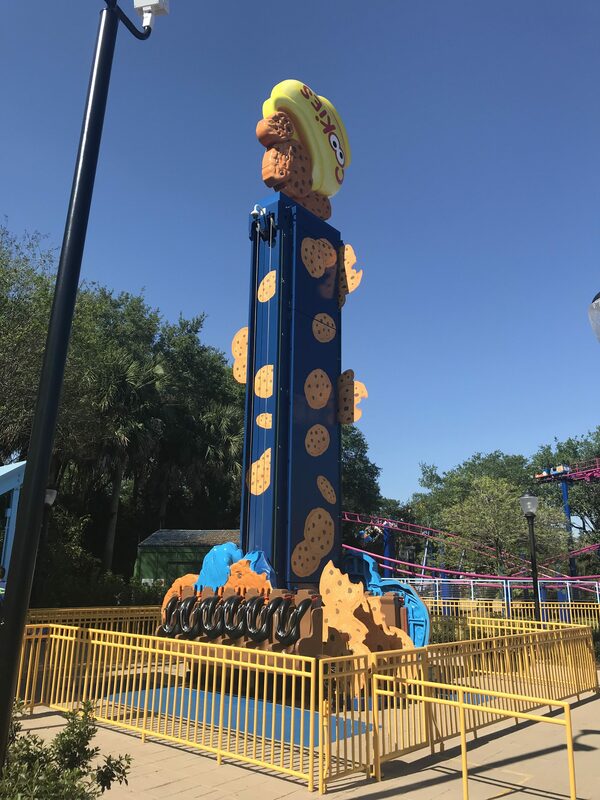 The Cookie Monster-themed Cookie Drop is a kiddie-style drop tower, taking the place of the old Flying Fiddler. 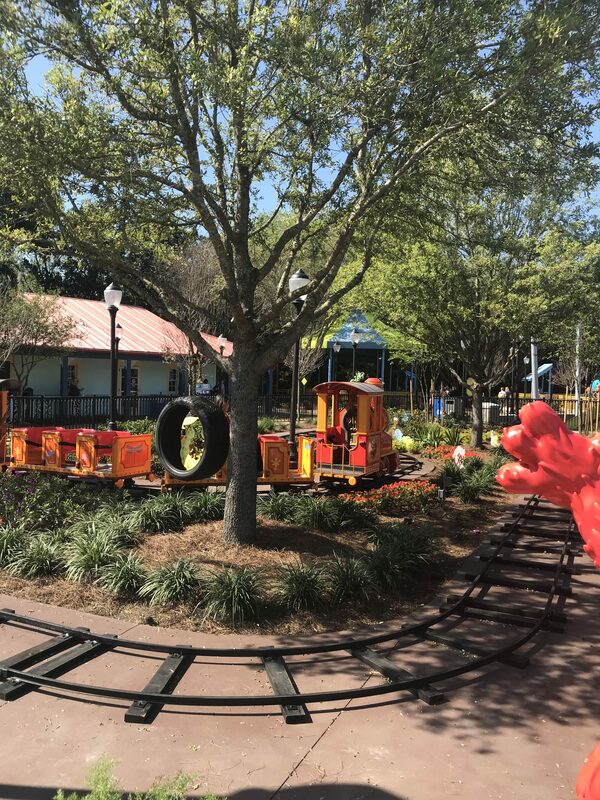 On the gentle Elmo’s Choo-Choo Train, Elmo guides guests on a short train ride to spot butterflies, caterpillars and his special friends, the Twiddlebugs. 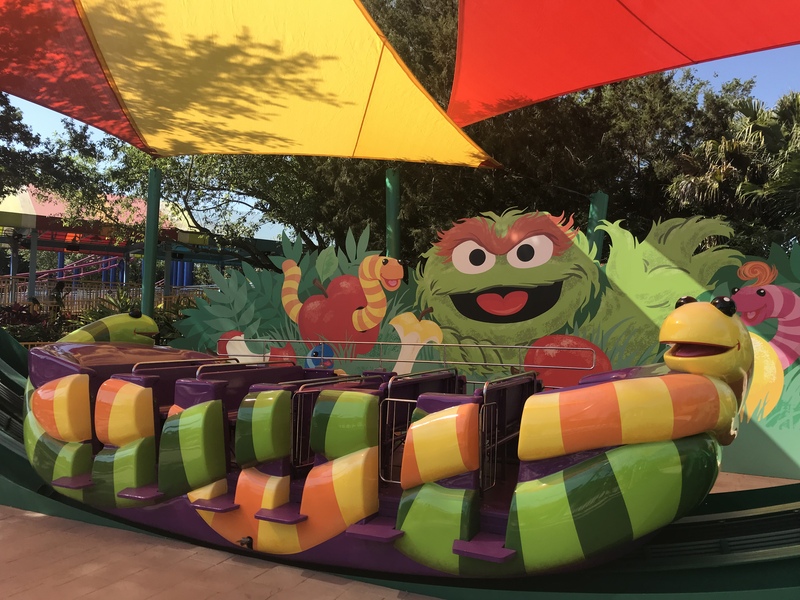 On Slimey’s Slider, Oscar’s pet worm swoops, spins and swivels guest on a short track. 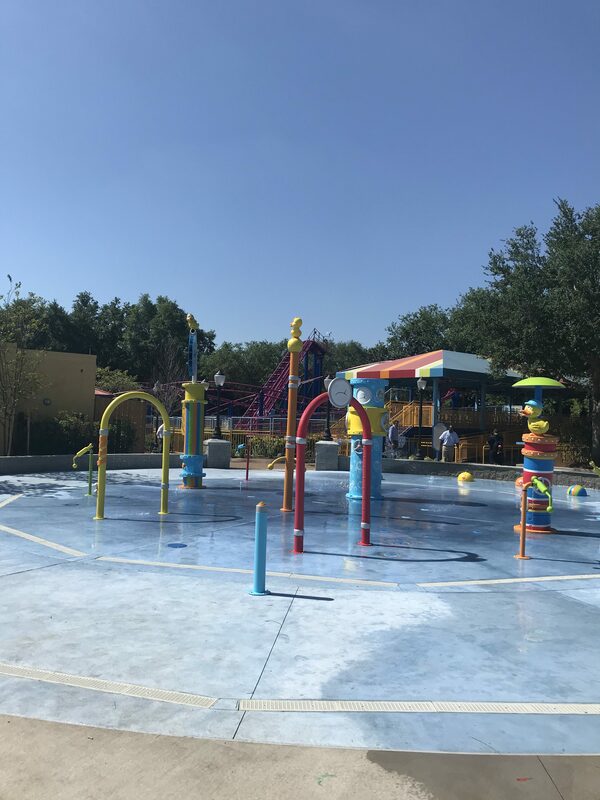 For young guests that prefer a little more freedom, the land features two play areas: the Rubber Duckie Water Works splash pad and the Count-Around Playground. 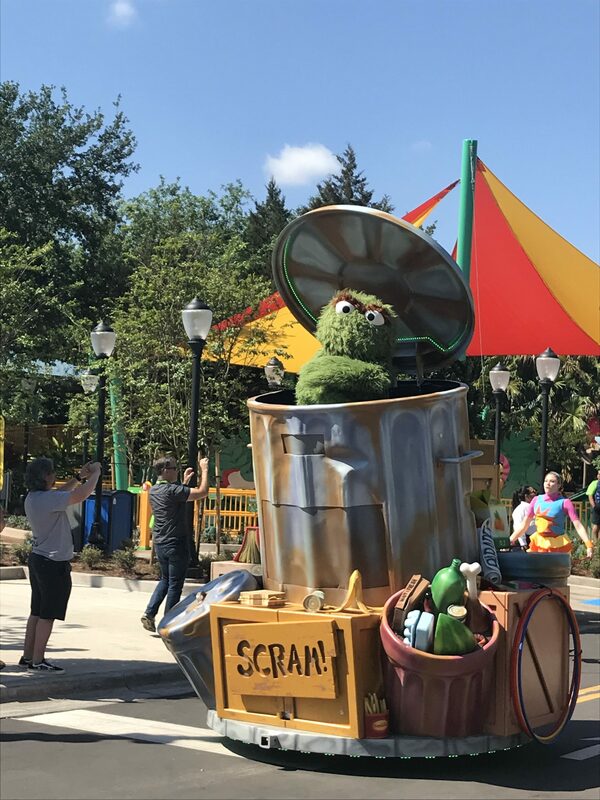 Judging from the media preview, Sesame Street will be full of character interactions, ranging from organized meets-and-greets like those with Elmo and Abbey Cadabby to Big Bird’s storytime session at his nest. 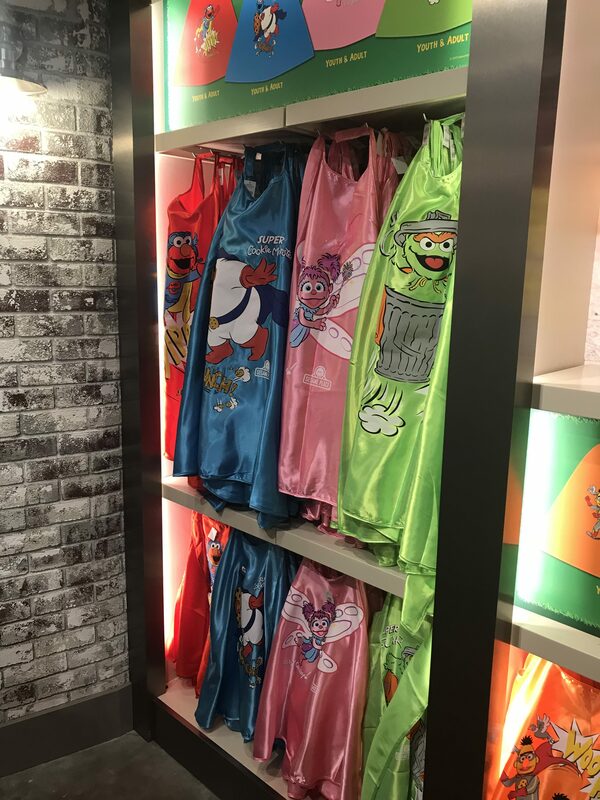 There are also many interactive elements, from small touches like hearing responses when you ring Bert and Ernie’s doorbell or knock on Oscar the Grouch’s trash can to seeing Elmo dance and sing at his bedroom window. 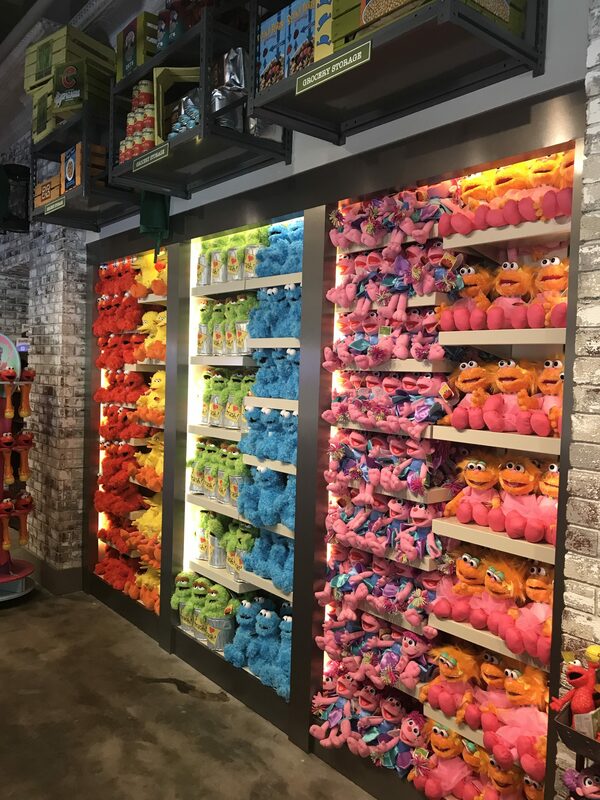 Mr. Hooper’s Store opens up into the land’s primary gift shop, offering all kinds of Sesame Street merchandise. 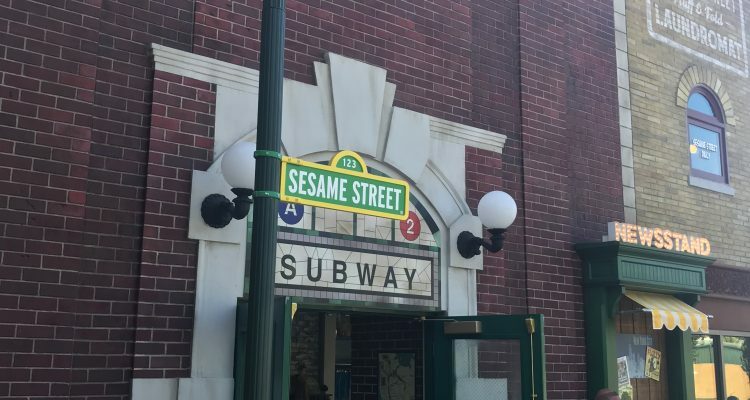 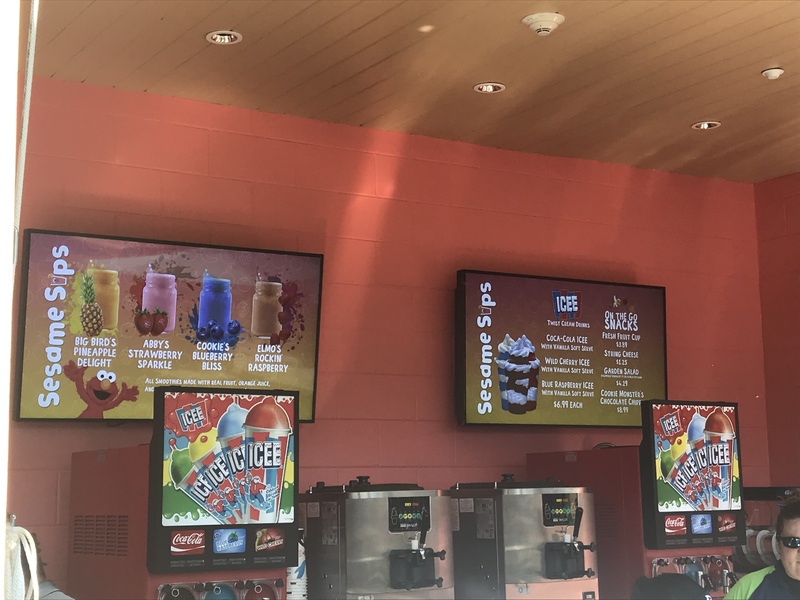 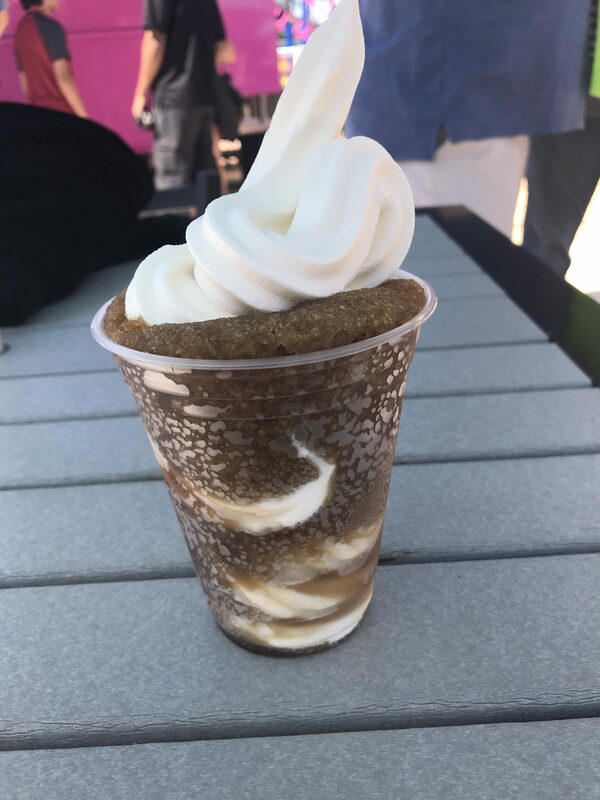 Sesame Street includes several quick service food options which look like food trucks, along with a Cookie Monster-themed game. 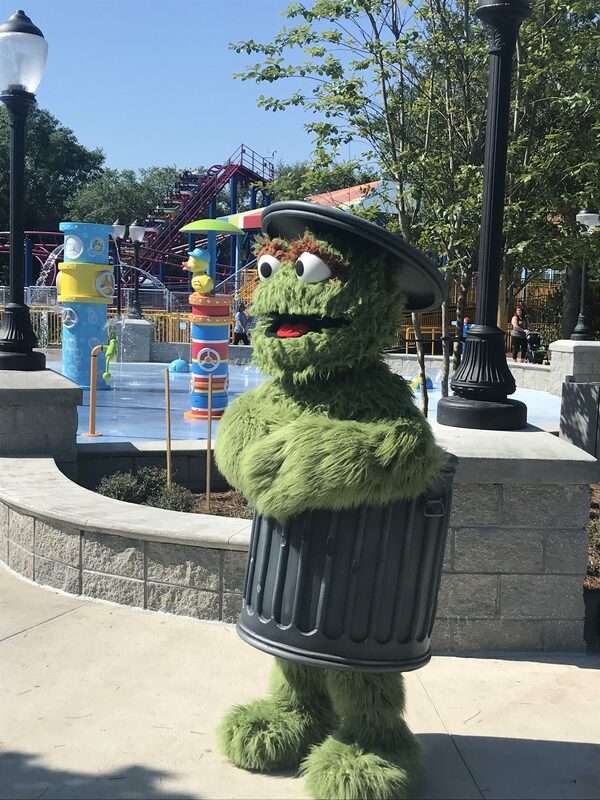 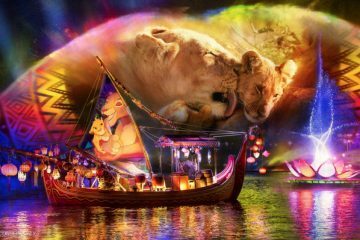 Sesame Street will host SeaWorld’s first daily parade, featuring characters like Big Bird, Oscar, Elmo, and The Count. 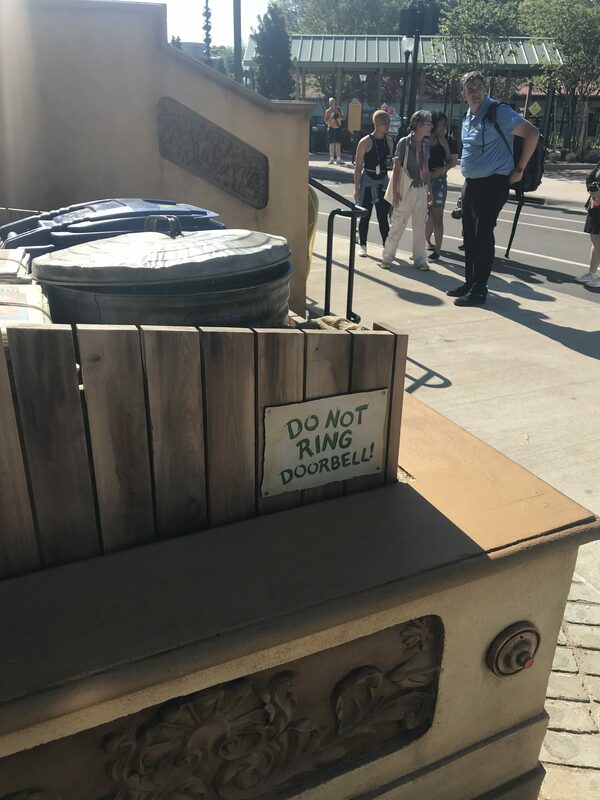 A tiered standing area across from the 123 stoop offers the best view.